VANCOUVER, BC, CANADA, November 15, 2018 /EINPresswire.com/ — Tasca Resources Ltd. (TAC.V) has received initial assay results from its September, 2018, trenching program at its Princeton gold property. 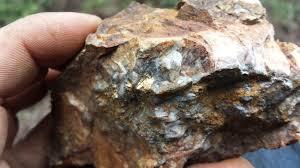 One bedrock sample exceeded 100 g/t gold and one bedrock sample ran 100 g/t gold. Two quartz float samples exceeded 100 g/t gold. Location of Area 2 and trench locations can be found on the accompanying map. Values will be plotted once final assays are received. "Tasca has always recognized the Princeton Gold Property as one of its significant assets;" said CEO Clive Massey. "These high grade gold results have moved the Princeton Project to the forefront of our exploration strategy and we are now making preparations to follow up with a fully permitted drill program prior to year end." Two other areas highlighted by anomalous rock samples or soil samples were tested. 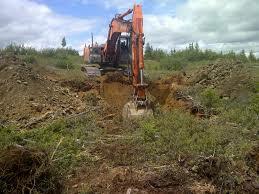 Overburden thicknesses were beyond the limit of the excavator boom so bedrock was not reached. These areas will need to be tested by diamond drilling. The five quartz float samples were taken from these two areas. Tasca cautions investors float samples are grab samples and may not be representative of mineralization on the Princeton Property.